It's been a little while since we have sent out an update to you all but with SO much happening in Minto in the coming months I want to be sure that you don't miss a thing! 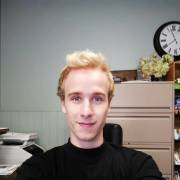 1) A big welcome to James Cooper, the summer student here at the Minto Chamber. You may have seen him around by now, as he's usually reporting on or involved with community events as his radio persona 'Coupe' for 88.7 The River. James has one more year at the University of Guelph before completing his bachelors degree in Theatre Studies and Neuroscience (Yes, both of them!) James hails from Mount Forest, but he is delighted to learn the quirks of Minto-living this summer. Some of his favourite activities are thrift shopping, coffee (totally an activity), and participating in community theatre. Minto just so happens to be a perfect fit for all 3! If you see him around this summer don't be shy. Say hi! 2) We are currently, searching for sponsors for Savour in the Street taking place on Saturday, August 11th on Elora St. in Harriston along with the Harriston Street Party and the Canada Packers Reunion 2018. We expect this event will be a huge success. If you are interested in becoming an event sponsor please contact Somer Antonopoulos at 519-510-7400 of info@mintochamber.on.ca Click here to view the sponsorship package. If you wish to purchase tickets to attend this event you may do so online. 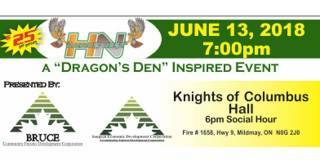 3) The Hawks Nest event is taking place on Wednesday June 13th at the Knights of Columbus Hall in Mildmay. I am excited to tell you that we have 2 Minto businesses in the finals and 1 Hawk investor, Joel Koops from MSW Plastics. I want to encourage you to attend this event and support our local finalists! It’s a BIG deal! You can purchase tickets at the Town of Minto office or online. 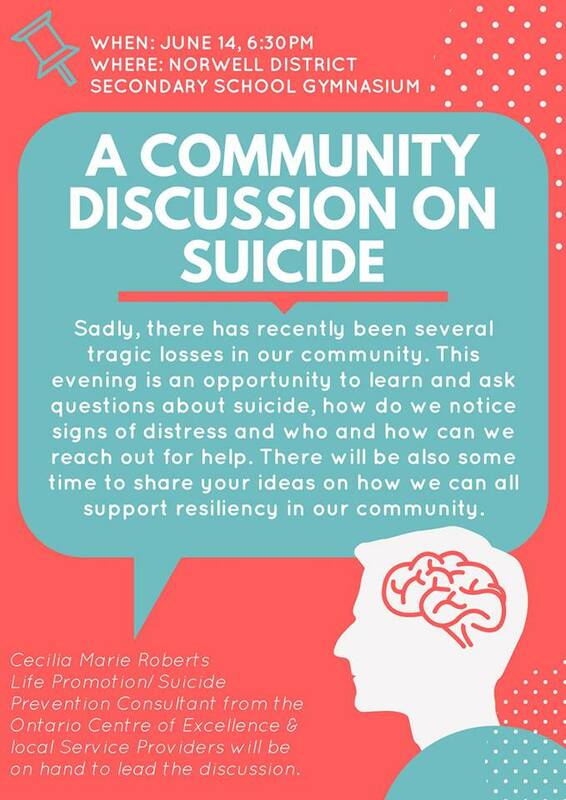 4) On Thursday June 14th at 6:30pm there will be a community discussion on the recent suicide epidemic happening in our community and area. This event will be held in the Norwell District Secondary School Gymnasium and is open to anyone interested in attending. Please share this information! 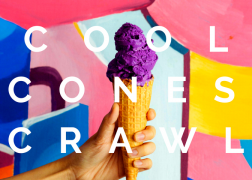 "LIKE" the photo of your favourite cone in the Cool Cones Crawl album on the Town of Minto Facebook Page! 6) Last but not least! This year was the 7th year for the Town of Minto’s Pitch It Business Plan Competition! As always, there was a phenomenal group of individuals who have prepared fantastic business plans for new or expanding businesses within Minto. The competition was extremely close, with four finalists and the grand winner being Dr. Shawn McDonald - McDonald Chiropractic, who will be opening his business late summer in Harriston! Many congratulations to Shawn & the rest of the deserving runners up!